ISLAMABAD, (UrduPoint / Pakistan Point News - 17th Apr, 2019 ) :Managing Director of Associated Press of Pakistan (APP) strongly believes that close people-to-people contact between Iran and Pakistan is the most important asset of bilateral ties. 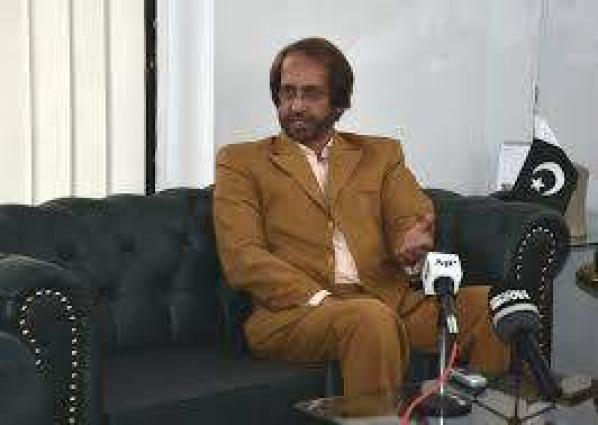 In an interview with the Islamic Republic News Agency (IRNA), Muhammad Qamarullah Chaudhry said that upcoming visit of Prime Minister Imran Khan to Iran would further enhance strong bilateral relations. "I hope the visit will go a long way in strengthening our brotherly relations with Iran," he said. Prime Minister Imran Khan will be on a two-day official visit to Iran from April 21, he informed. Muhammad Qamarullah Chaudhry said Iran and Pakistan have historical, religious, cultural and political relations. "There have been ups and down in political relations but more or less, relations remained good and both countries always supported each other on different international issues, he added. He said that due to peculiar situation in the region, it was needed that if there is some irritant or some wrinkles in the relationship, they should be removed. MD APP, expressing his views, said that situation of Afghanistan, middle East and border issues would also be discussed between Iran and Pakistan during Prime Minister's Iran visit. He said Iran and Pakistan have very strong people-to-people contacts. He noted that people-to-people contact is of great strength for the two countries to be closer and to have a united stand on national and international issues. About Iran-Pak trade ties, he said the bilateral trade is another important aspect of these ties. "Looking at the team which Prime Minister is taking to Iran, one could hope that some bilateral agreements on enhancing trade would be worked out," said Qamarullah Chaudhry. The APP MD said that exchange of high level delegations always bring the countries together and enhance their cooperation, besides minimizing chances of irritants. Stressing media cooperation, he said that world has now become a global city in which media play a very important role. He noted that information has started passing out so quickly and social media tools have made everything instant, across the world. He was of the view that now-a-days, more stress is being given to digitalization of the media and now the survival of big media houses like news agencies, depends on their interaction and close cooperation with other news agencies. "Cooperation between IRNA and APP is very important and IRNA has been trying to sign a fresh agreement with APP," he said. Both news agencies don't need a fresh agreement to expand their cooperation because they already have an arrangement since APP can use IRNA stories and IRNA can use APP stories, he added. Qamarullah Chaudhry said that IRNA bureau office is working in Pakistan and the cooperation between IRNA and APP is going on but there is a need to further expand that cooperation. "I think the state news agencies also work like diplomats because they help the people of the countries to come close to each other," he said. In upcoming years, media cooperation between Iran and Pakistan would also be increased, he added. Regarding United States (US) withdrawal from Joint Comprehensive Plan of Action (JCPOA), the Pakistani top journalist said that Iran has every right to pursue a peaceful nuclear programme. He said that Iran is fully abiding by the international law regarding the JCPOA which International Atomic Energy Agency (IAEA) has confirmed. He said that unfortunately some countries like Zionist Regime are allowed to pursue a dangerous nuclear programme and the world has become a silent spectator. "They are free to do whatever they want to do," noted Chaudhry. He said western countries' approach towards Iran's peaceful nuclear programme is biased. The senior journalist termed the US unilateral withdrawal from Joint Comprehensive Plan of Action (JCPOA) as unjustified. He said any conflict between the US and Iran has to be solved through negotiations and the US has to come on to the negotiation table. "They have to give the right to Iran to use nuclear energy for peaceful purposes," he added. Qamarullah Chaudhry said that western countries are biased towards Muslims and they always pursue policy of double standards for them. He added that Iran and Pakistan, being two important Muslim states, can play an important role for the stability of the Islamic world. He called upon the Islamic world to shun their differences and unite to protect the rights of Muslims all over the world. He added that issues of Palestine and Kashmir should be resolved according to the United Nations Resolutions. He said that Iran and Pakistan need to side with each other onregional issues and resolve them peacefully.